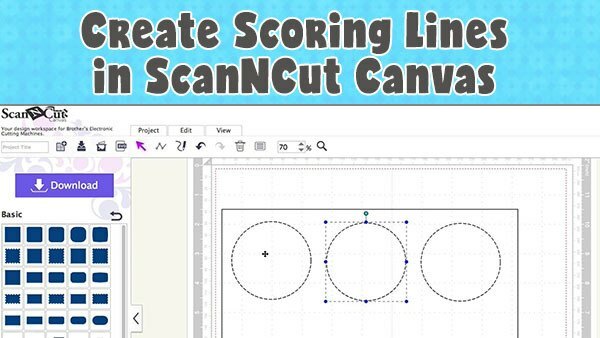 Yes, you can create scoring lines with the Brother ScanNCut…yay! However, you can’t do it on the machine itself. 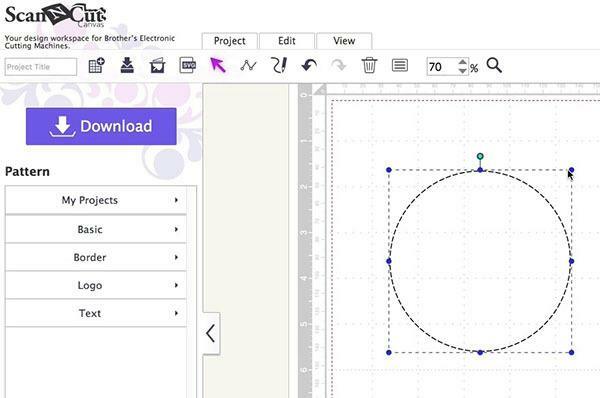 It has to be done in ScanNCut Canvas which is the free online software that Brother provides for all ScanNCut users. 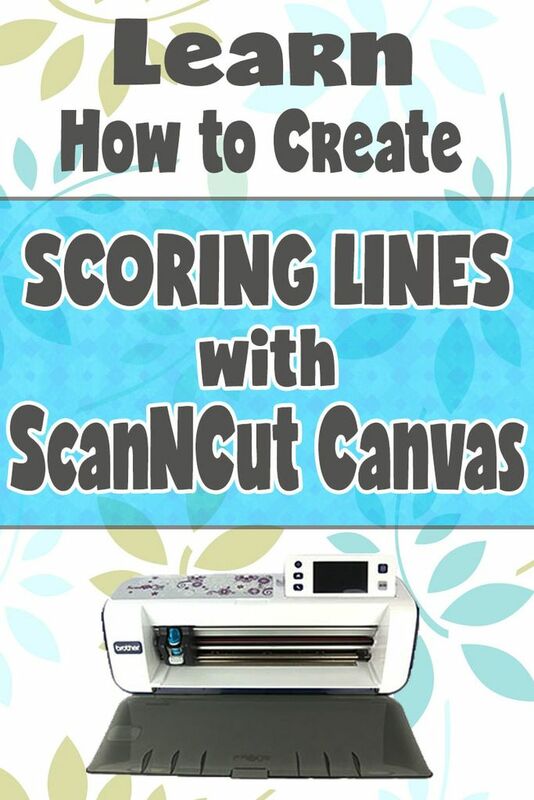 You can access ScanNCut Canvas here. In this tutorial, we show you how to create a greeting card template and include a scoring line so that you can fold the card in half. 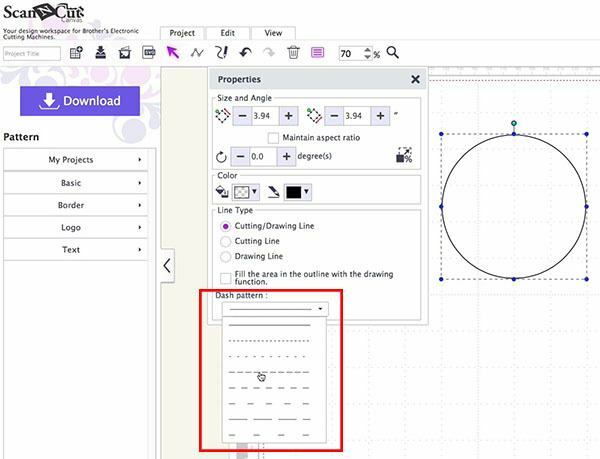 Watch the video above for the full tutorial but here are the basics for using the Dashed Pattern option to create scoring lines. 1. 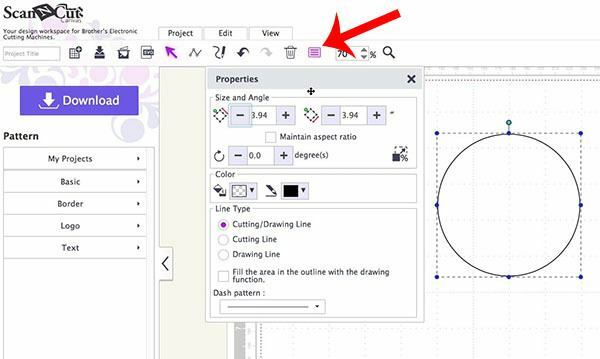 Add a shape to the screen and ensure that it is selected. 2. Select the ‘Properties’ option from the top menu. A pop-up will appear. 3. 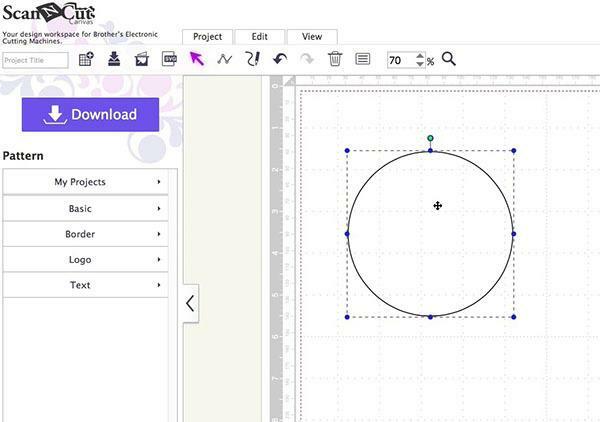 Click the drop-down box under ‘Dash pattern’ and select a dashed line from the options. 4. Your pattern will now have a dashed line around it. Share on Pinterest using the image below. times to weld the two objects for an envelope to no avail. (Perhaps my laptop screen is too small to line up the four components?) Is there any chance you are able to share the finished envelope? What envelope are you referring to? In the video, I only worked on a greeting card not an envelope.